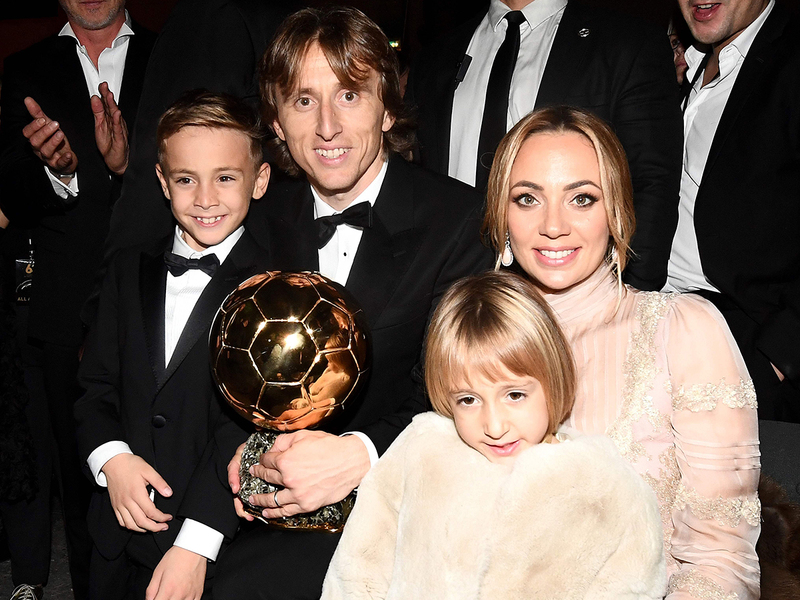 Paris: Luka Modric, the midfield maestro who won the Uefa Champions League title with Real Madrid and then helped lead Croatia to the World Cup final, was honoured on Monday with the Ballon d’Or as World Player of the Year. Modric’s victory ended a 10-year run in which Cristiano Ronaldo and Lionel Messi traded possession of the award, considered one of world football’s top individual honours. Ronaldo was second this year, his record sixth runner-up finish (to go with five wins). Atletico Madrid forward Antoine Griezmann was third, just ahead of his France teammate Kylian Mbappe. Messi, who won a league and Copa del Rey double with Barcelona but endured a miserable World Cup with Argentina, finished fifth in the voting by football journalists, which is overseen by the magazine France Football. Modric’s victory was widely expected — he already had been honoured by Fifa as the world’s top player — but the announcement lost much of its drama when a social media user posted what purported to be a list of vote totals. The list, a blurry photograph of what appeared to be a pre-printed page from the forthcoming issue of France Football, began circulating on social media hours before the announcement. When the award’s official countdown on Twitter tracked perfectly with the leaked vote totals, fans and journalists began discussing — or, alternately, praising and criticising — Modric’s victory even before the lights went up on the awards ceremony in Paris. Modric, 33, is the first Croatian to win the Ballon d’Or; his countryman Davor Suker is the only other Croatian player ever to finish in the top three, in 1998. Power clubs once again dominated: Every member of the final shortlist of 30 players is employed by a team in the top division in England, Spain, Italy or France. Real Madrid have eight players among the final 30, for example, while Liverpool placed four and Barcelona, Paris St-Germain and Atletico three each. Modric is the seventh player from Real Madrid to lift the trophy, breaking a tie with Barcelona players. (Counting multiple winners, each club now has won 11 overall, another record.) That may serve as a bit of consolation in Madrid after a summer in which the club sold Ronaldo to Italy’s Juventus. Modric’s latest honour capped a remarkable 2018 — he won his fourth Champions League crown with Real and led Croatia to their first World Cup final — but it was not a surprise: He already had been honoured this autumn as European player of the year by Uefa, the continent’s governing body, and in September he beat Ronaldo and Liverpool’s Mohammad Salah in voting for Fifa’s World Player of the Year, ending a similar run of Ronaldo-Messi dominance. The online leak of the results before the televised show made them official was not new, either. In 2016, a Twitter user revealed the bracket for the NCAA basketball championship well before CBS, which pays billions for the rights to the tournament, could get through them on television. That led to changes in the way the network handled the bracket a year later, and to a front-loading of the unveiling of the bracket. Even Ronaldo and Messi seemed to have assumed Modric would win. Neither turned up for the Fifa awards in September, and both skipped Monday’s Ballon ceremony in Paris. Before the big Modric reveal, Norway’s Ada Hegerberg, a 23-year-old striker who plays for Olympique Lyon, won the first women’s Ballon d’Or.